As we collect and present in chronological order most of the letters between Blavatsky and Judge, it is at this point that we must reproduce an extra fragment of the correspondence. It is part of a letter from Blavatsky, written in 24 March 1886 and quoted by W. Q. Judge in his text entitled “About the Secret Doctrine” . “Letters Between Blavatsky and Judge – 04” is a letter from Judge dated May 22, 1886. We reproduce it from “Letters of H. P. Blavatsky to A. P. Sinnett”. Laura C. Holloway, who is mentioned in the text, was a North-American student. She was for some time a pupil of one of the Masters. Laura collaborated with Mohini Chatterji in writing the volume “Man: Fragments of Forgotten History”, published in London in 1887. In “Letters From the Masters of the Wisdom”, first series, TPH, India, 1973, C. Jinarajadasa included a series of significant letters from Mahatmas to her and on her. Information on Laura Holloway can also be obtained in the volume “Damodar”, by Sven Eek . Mr. A. T. Barker, the editor of the HPB Letters to Sinnett, reports that in the following text the passages in bold type are comments in H. P. Blavatsky’s handwriting. The passages in bold type italics in Judge’s handwriting have been underlined by her. The text is included in the book “Reminiscences of H. P. Blavatsky and ‘The Secret Doctrine’ ”, by Constance Wachtmeister, first edition, London, 1893. General Books edition, Memphis, Tennessee, USA, 2010, 74 pp., see p. 45. “Letters of H. P. Blavatsky to A. P. Sinnett”, Theosophical University Press, Pasadena, CA, 1973, 404 pp., Section II, Miscellaneous Letters, Letter CLX, pp. 314-315. “Damodar”, by Sven Eek, T.P.H., India, 720 pp., published in 1965 and 1978, see pages 626-628. [New York] May 22, 1886. I called on Bouton  the other day and arranged that henceforth he should send you the money in regular drafts on London, easy to cash. The explanation of the Holloway matter is, that you in 1884, appointed her your attorney and agent in writing to attend to Bouton. When she came back she employed a lawyer, and thus so far as that is concerned you are bound by your own acts. I thoroughly agree with what you say about her. I understand that she is writing a book on the theosophical movement, to be embellished with pictures. She is great on catching the passing emotions of the people, for a sale. Now will you do me the favour of sending me an authoritative letter stating that you do not send ambiguous telegrams to W. Q. J., and that any such message to have any effect on W. Q. J. will contain a sign he will understand. For some person has been sending me telegrams from various parts of U.S. signed “H. P. B.” with ridiculous orders in them. The last was the other day from Baltimore reading “Your enemy is a woman; now as then she has betrayed you. Now you know why the Master did not cure you in India. H. P. B.” (!!) I cannot place it. I do not connect L. C. Holloway with it. Can you give me any light. I shall certainly expect from you an article for my Magazine, “The Path”. It is going to create a buzz here, and if H. P. B. redivivus appeared there, great benefit would result to the Cause. 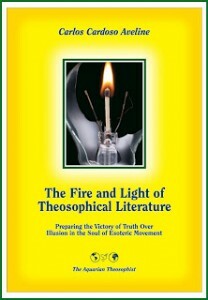 This journal will help the Theosophist and all theosophical literature. So look kindly on it and take higher advice. The “Oregon” sunk off this coast the other day and I think had some letters of mine on board. I will write again soon regarding Bouton and duly inform you. Your Secret Doctrine ought to be protected here. As you are an American citizen that can be done. Have Sinnett attend to that from his side. If you do not he may neglect it. The Mohini affair is not good. I do not know the facts and refrain from any judgment. Is he at fault? Can’t understand Babajee unless in carrying out orders to suppress phenomena he has erred in his method. I notice he does NOT say you are in with Dugpas. But that accusation about money is the most reprehensible part of it. Well I stick to what I do know and let the rest slide. As ever yours, William Q.
Persecutions and trials are now beginning in America. Poor Judge and poor Coues. May Masters help them! Send me back both those letters.